Many are allergic to gluten and wheat. Some experience clear signs of their gluten intolerance or wheat allergy, many others experience much more subtle effects of such sensitivity. It can be argued that our human digestive system did not evolve to to eat wheat and gluten as the paleolithic hu(wo)man ate mostly meats, fish, roots, berries, and seeds, not farmed grains. It is also a fact that most of today’s flour has been stripped from it’s nutrients, bleached, grounded so fine to prolong shelf life (so even bugs can’t survive by eating that de-natured food) or to make using the flour easier, especially in the industries that want to create tasty and good looking pastries very fast. I will write other articles to talk about what to look for when buying wheat flour, I will also talk about the best method to prepare pastries using fermentation (not using baker’s wheat) in future articles. For those of you that want to avoid wheat and gluten all together, I have good news. There are many alternatives, many are healthier than wheat. I listed below “flours” that are alternatives to wheat flour and that are also gluten free. Remember, you’ll have to adjust any recipes you are using and maybe do some experimentation before you get the right quantities. Amaranth flour: Amaranth flour is made from the seed of the Amaranth plant, which is a leafy vegetable. Alternative names: African spinach, Chinese spinach, Indian spinach, elephants ear. Buckwheat flour: Buckwheat flour is not wheat, buckwheat is related to rhubarb. The small seeds of the plant are ground to make flour. Other names: beech wheat, kasha, saracen corn. Millet flour: Comes from the grass family. Don’t use too much of this as millet has been shown to not be thyroid-friendly because it limits the uptake of iodine to the thyroid. One of my favorite articles on Sourdough bread is the one I pasted below. The author has graciously given this article to us free of copy rights. Learn why Sourdough is the healthiest and only kind of bread to eat! Commercial “baking” yeast is a single kind of organism that belches a lot of gas really fast and transforms grain into something that’s even less good for you. Sourdough is two organisms, wild yeast and bacteria, in symbiosis. Together they transform the grain to make it more healthful, more digestible, and also resistant to getting moldy or stale. Many people with wheat allergies or “yeast” allergies have no problem eating real sourdough. And it’s free! With sourdough, you are keeping and feeding a population of friendly yeast and bacteria, called a “culture”, or a “starter”. The population rises and falls, depending on where you keep it and what you feed it. When you make a loaf of bread, you are carefully managing a population explosion. The sour flavor comes from acids made by the yeast and bacteria, and when it gets really strong, that does not mean the sourdough is strongly active, but that it is depleted, that the population has already eaten its food and collapsed. Flour. Most grains will work, though only wheat has enough gluten to hold together big air bubbles and make a fluffy loaf. White flour does not have the right nutrients for the sourdough, or for you! I generally use organic whole wheat flour — bread flour for bread and pastry flour for everything else. Water. The more filtered, the better. At the very least it needs the chlorine taken out, which you can do just by setting it in an open container for a day or so. I came across a very comprehensive list of foods or ingredients that contain gluten. This list is so well researched I am reposting here because I want to make sure this info is preserved. I take no credit for the information below. 1) If this ingredient is made in North America it is likely to be gluten-free. 3) The problem with caramel color is it may or may not contain gluten depending on how it is manufactured. In the USA caramel color must conform with the FDA standard of identity from 21CFR CH.1. This statute says: the color additive caramel is the dark-brown liquid or solid material resulting from the carefully controlled heat treatment of the following food-grade carbohydrates: Dextrose (corn sugar), invert sugar, lactose (milk sugar), malt syrup (usually from barley malt), molasses (from cane), starch hydrolysates and fractions thereof (can include wheat), sucrose (cane or beet). Also, acids, alkalis and salts are listed as additives which may be employed to assist the caramelization process. 4) Can utilize a gluten-containing grain or by-product in the manufacturing process, or as an ingredient. 5) Most celiac organizations in the USA and Canada do not believe that wheat starch is safe for celiacs. In Europe, however, Codex Alimentarius Quality wheat starch is considered acceptable in the celiac diet by most doctors and celiac organizations. This is a higher quality of wheat starch than is generally available in the USA or Canada. 6) According to 21 C.F.R. S 101,22(a)(3): [t]he terns natural flavor or natural flavoring means the essential oil, oleoresin, essence or extractive, protein hydrolysate, distillate, or any product of roasting, heating or enzymolysis, which contains the flavoring constituents derived from a spice, fruit or fruit juice, vegetable or vegetable juice, edible yeast, herb, bark, bud, root, leaf or similar plant material, meat, seafood, poultry, eggs, dairy products, or fermentation products thereof. Whose significant function in food is flavoring rather than nutritional. 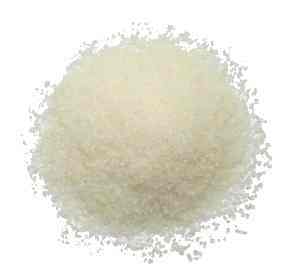 7) Dextrin is an incompletely hydrolyzed starch. It is prepared by dry heating corn, waxy maize, waxy milo, potato, arrowroot, WHEAT, rice, tapioca, or sago starches, or by dry heating the starches after: (1) Treatment with safe and suitable alkalis, acids, or pH control agents and (2) drying the acid or alkali treated starch. (1) Therefore, unless you know the source, you must avoid dextrin. One common issue of confusion is whether gelatin and gluten are the same thing, and whether gelatin contains gluten. Gluten is a protein found in some grains (such as wheat) and many people are allergic to gluten. 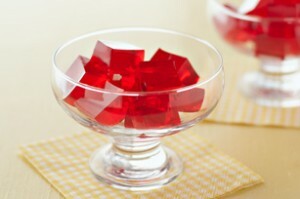 Gelatin is usually made from the bones of animals and is used to thicken liquids. For instance, Jello is made from gelatin. Gelatin does not contain gluten. Gelatin is a unique and pure protein that contains no fat, carbohydrates, cholesterol or preservatives. Gelatin that is used in food and industry is collagen that has been irreversibly hydrolyzed. From a nutritional point of view, collagen and gelatin are a poor-quality sole source of protein since they do not contain all the essential amino acids in the proportions that the human body requires—they are not ‘complete proteins’.